Having a baby is an exciting time for families, but it can also be stressful and overwhelming. Decades of research has demonstrated that home visitation, provided by trained professionals, is an effective way to provide families with valuable information and support during pregnancy and throughout their child’s first years. 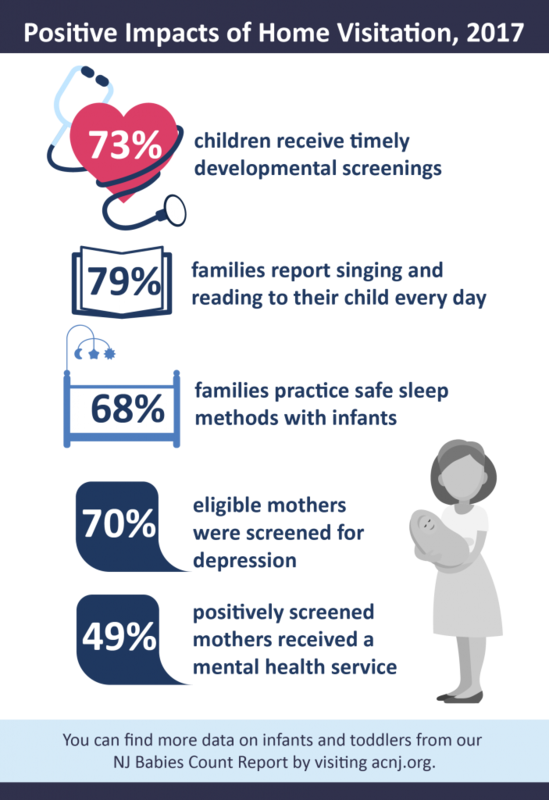 Home visitation helps build healthy environments for young children by promoting infant and child health, nurturing positive parent-child relationships and connecting families to essential resources and supports. 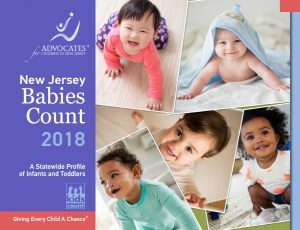 Evidence-based voluntary home visitation programs are available in each of New Jersey’s 21 counties, reaching approximately 7,000 eligible families annually. The state also has county-based Central Intake Hubs, which provide pregnant women, families and providers with easy access to home visitation programs and other family support resources including local community services that promote child and family wellness. Unfortunately, the existing funding is not adequate to reach all families that could benefit from home visitation services. The rising costs of providing services, coupled with stagnant funding over the past decade, poses a threat to the long-term stability of New Jersey’s home visitation system and prevents programs from serving additional families. Home visitation programs are offered in all 21 counties with a central intake system covering every county. A review of the program has shown it to be effective in improving child health and development. For more information on New Jersey’s home visitation program, click here.